Actually the total negative reviews for this sorry movie that have been deleated is now over 95000. 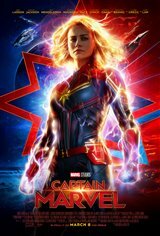 How did Captain Marvel change from a man to a woman? What were the producers thinking? Her acting was terrible and very boring. Wonder Woman is the greatest female super hero ever! So good! Will watch again and again, really enjoyed it! Awfully made boring movie. Don't waist you time and money. Terrible acting. I really enjoyed this movie. Wasn't sure about it going in, but figured I should see it before seeing Avengers: Endgame. Very, very glad I did. Bree Larson is excellent in this role, and there were plenty of surprises and beautiful, powerful moves on her part. It seems clear the next phase of the Avengers will be much higher powered than the current batch, and I'm ready for it. Very humorous and good action!